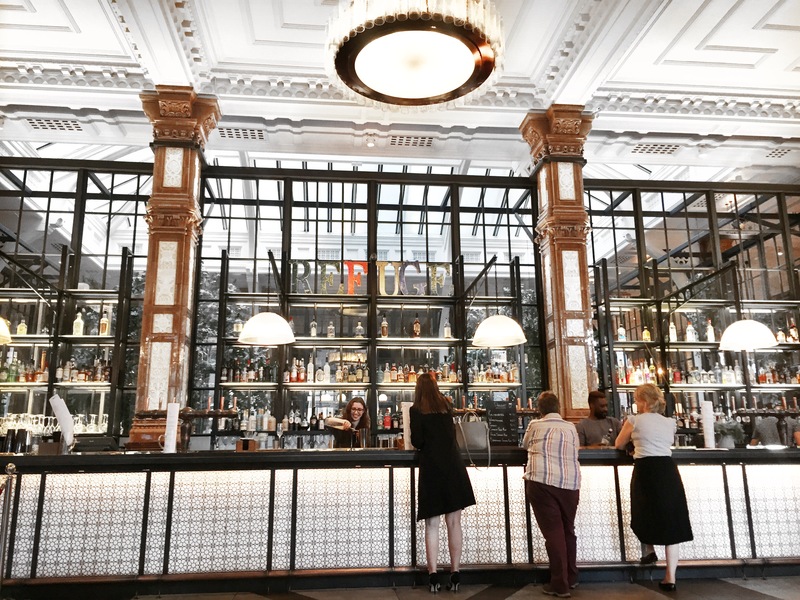 I did a full round-up of all the places I recommend in Manchester a while back which you can find here but in the interest of those needing a narrow down, here are my 'if I had to choose' and make a bloody decision places. The ones that shape my home, hold a lot of memories and are damn good at what they do. Breakfast, brunch, whatever you wanna call it - this place is one you just have to try. Bang in the city's popular Northern Quarter, it's a home away from home with people watching spots, wooden tables, chalk boards and greenery. The vibe is laidback, the people are friendly and oh yeah - the food. It's my favourite 'full english' in Manchester and is really reasonably priced for just how delicious it is. There's a whole array of sweet treats at the counter for after too. One where you can come alone or with friends, it does get verrrry busy at the weekend but there's a reason for it. You can't book a table but the turnover is pretty quick and you can take away too - winning! I go here all the time and can't get enough. Spanning a good stretch of the Spinningfields Avenue, it's a smart/casual option with mood lighting and a great menu. Their baked camembert is incredible and reason enough alone to visit. Dinner, tea, whatever you call it - The Botanist is one to make a beeline for. On the Deansgate stretch, it's a special kind of place. The branding is second to none and it's not like the rest of them from the picture perfect interior to the daily entertainment they put on. An Instagrammble venue with one of the best pornstar martinis in town. Grab the girls and get snapping. Easily my favourite house wine in Manchester. And an old school favourite. There's DJs at the weekends, you can bring dogs in and they sell halloumi - what more could you want? Nestled in the recently renovated Principal Hotel, it's got wow factor at every turn and is the all rounder with a restaurant, winter garden, games room and lounge. DJs at the weekend meet casual working during the day, charge your phone for this one. Okay, okay so on this one I'm going to cheat... For all the space in the world grooving, hit up Rev De Cuba near Deansgate. With two floors, you can change your vibe minute by minute and when they bring that limbo out... And as for intimate - El Capo is your best bet on a Friday or Saturday eve. Obvious but that's for a reason - Cloud 23 is your best bet to watch the world glisten from afar. Not a fan of the crowds? If you've got the dollar, check into the Hilton's Exec room which grants you access to the other side of the bar, exclusively for guests. Well worth the upgrade - and you'll sip on a tea and croissant the next day at breakfast from 23 floors up. When the sum shows itself, there's no-where like Castlefield. With live guitar sets, a beautiful setting and all the drinks you could wish for, it's one worth walking across town for.